Asma El-Gindy; Mona Youssif; Youssif G.
Food Technology Research Institute, Agricultural Research Center, Giza, Egypt. Tamarind is a nutritious fruit with a variety of uses. The properties of this species have been extensively studied, particularly with reference to the components of the seed. The study revealed that the seed is rich in proteins (13.6%) while the seed coat is rich in fibers (21.6%). The seed has high content of calcium, phosphorus, magnesium, potassium, copper, zinc and manganese (190, 155, 113, 510, 13, 2.3 and 1.1 mg/100g) respectively compared with pulp. The total content of phenolics of T. indica L. seeds was high180.1 milligram gallic acid equivalent per gram of dry weight (mg GAE gDW-1). Also, total flavonoid content was high for T. indica L. seeds 164.4 milligram catechin equivalents per gram dry weight (mg CE gDW-1). Total phenolic content, total flavonoid content and total antioxidant activity of tamarind pulp soaked with different concentrations of tamarind seed powder showed an increase compared with control (tamarind soaked without TSP). Also, addition of tamarind seed powder to tamarind soaked to level of 2.0% (w/v) did not result in any significant difference in the perceived sensory attributes of tamarind pulp and seed soaked (p>0.05) as compared to the control tamarind soaked without tamarind seed powder). But, the content of moisture, protein, crude fiber and ash in tamarind seeds by-products substituted biscuits increased with increased level of addition of tamarind seeds flour to biscuits. Also, the total calcium, phosphorus, magnesium, potassium, copper, zinc and iron in tamarind seeds by-products substituted biscuits increased with the increased level of addition of tamarind seeds flour to biscuits. 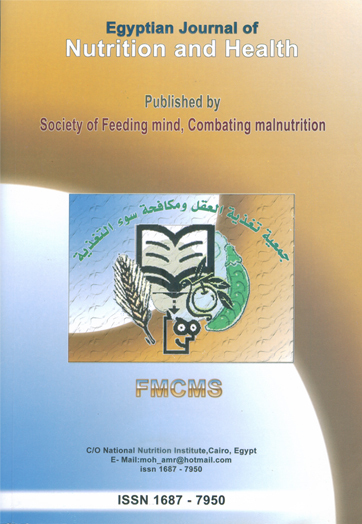 The mean values of physical characteristics of wheat biscuit and fortified wheat biscuits with Tamarind seeds flour showed that gradual increment of spread ratio of fortified biscuits with three studied tamarind seeds flour ranging from 5.22 to 5.30 for 3, 6% tamarind seeds flour supplemented biscuits and 9%. That sensory evaluation of seeds tamarind by-products substituted biscuits containing different levels of tamarind seeds improvement with the increased level of addition of tamarind seeds to biscuits from 3 until 12% compared to the control biscuit for all organoleptic characteristics. Total phenolic content, total flavonoid content and total antioxidant activity of seeds tamarind by-products substituted biscuits increased with the increased levels of addition.